作者: The AsiaN Editor on 7 January , 2019. Approval ratings of President Moon Jae-in remained relatively high in the first week of this year on the back of public approval for his signature “engagement-focused” North Korea policy. But his lackluster and not-that-impressive domestic policy, particularly the apparent failure of its economic policies after its decision to hike the minimum wage and cut the workweek hours has taken its toll. 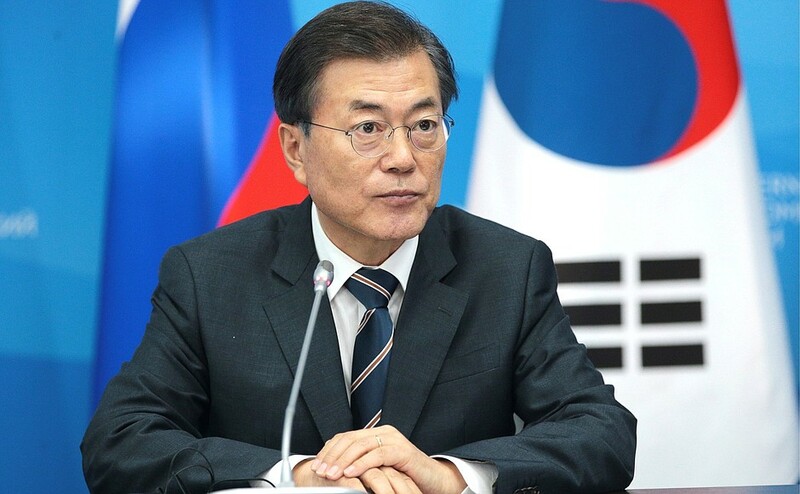 Moon’s approval rating lowered to 47.1 percent in mid-December, the lowest since he took power in May 2017, according to local pollsters. While his approval rating saw a slight rebound, political analysts said a further upturn is dependent upon the President’s wider rapprochement toward economic issues. “What the President has to do is spend more time focusing on local economic issues. If he handles them well, that will help him maintain his political support. Moon has to reassure citizens that Cheong Wa Dae is working for them,” a senior Cheong Wa Dae official told The Korea Times, last week. Now the President appears to be expanding communication channels to win backing from the country’s leading industrial conglomerates including Samsung, LG, SK and Hyundai, which had been branded as “deep-rooted evil” by Moon years ago. Presidential spokesman Kim Eui-kyeom said the President will hold meetings with small business owners and decision-makers at top-tier conglomerates later this month. No further specifics have been known, but the presidential office said Moon will ask business communities to hire more and spend more with the government providing more tax benefits and administrative support. Specifically, young people looking for employment are hugely discontent with the President’s ambitious “income-led” growth policy as big employers cancelled or delayed their hiring plans as the increase in minimum wage is putting pressure on them in terms of rising fixed cost. Given the significance of support from young people to Moon’s approval ratings, Cheong Wa Dae officials said the President has “no option” but to reach out his hands to Samsung, LG, SK and Hyundai conglomerates _ South Korea’s top four family-controlled businesses. “Altering South Korea’s current economic policies is a wise course of action because the country can’t control external conditions like the trade disputes between the United States and China. The President will be pursuing expansionary fiscal policies throughout this year and he needs support from them,” Hyundai Research Institute said in a note to clients. Because South Korea has an export-driven economy structure, the big four holds the key for all things relating to investment and hiring. Since he took the presidential office, Moon has so far distanced himself from powerful chaebols, which he blames for a culture of corruption and influence-peddling that built up over decades as a result of “hidden ties” between politicians and businesses. As a clear gesture and firm reaffirmation toward a policy shift focusing on economy, chief presidential policy chief Kim Soo-hyun met with senior executives at Samsung, LG and SK in a Seoul hotel late last year, Cheong Wa Dae said. “More meetings are planned. The President’s economic team will meet business executives more often this year from the previous year as the President needs to find quicker and more effective ways to boost economic growth to regain political support from disillusioned younger people and salaried workers,” another Cheong Wa Dae official said. In his New Year address, Moon said his administration will continue pushing economic reform drive throughout this year to create more jobs and fair economy through innovation and advanced industrial structure. But it remains to be seen whether big businesses to actively respond with the shift from the President as they want to see a wider adjustment of the shortened weekly work hours and to have more tax break in exchange for an increased investment and more hiring. “Major businesses have lost their competitiveness in global markets. Moon administration’s decision to increase the minimum wage has a huge impact on the market economy,” said Sung Tae-yoon, economics professor at Seoul’s Yonsei University. Regarding this year’s hiring and investment plan, spokesmen at Samsung and LG Group declined to comment; however, they said they could invest more and hire more depending on both internal and external situations. According to the Hyundai Research Institute, the country’s economy will only grow about 2.5 percent this year, and is headed for a low point in the second half of 2019 or early 2020. “In the short-term, the administration needs to encourage investment and regulatory reform is required for that (reform) to take place, particularly in the SOC (Social Overhead Capital, a term referring infrastructure needs of a society),” Chung Min at the Hyundai institute said.